Birdie Media™ – a leading golf signage company and developer of innovative golf tournament tools, was selected by Troon®, the world’s leading golf course management, development, and marketing company, as a preferred partner for custom tournament signage and event marketing collateral. Through this partnership, Birdie Media will provide exclusive tournament collateral development for participating Troon managed facilities and will create custom tournament signage for events hosted at Troon destinations. Additionally, Troon and Birdie Media have collaborated on the creation of TroonTournaments.com. The new website is devoted to enhancing offerings for event planners and enable tournament administrators to provide additional sponsorship value for tournaments and events at Troon facilities. “We’re excited to partner with Birdie Media to create new sales resources for events at Troon managed facilities and create ways for event planners to further personalize their event and show sponsor value,” said Kris Strauss, vice president, sales and marketing, Troon. Headquartered in Scottsdale, Ariz., Troon is the world’s largest golf management company, with more than 250 golf courses in its portfolio and also specializing in homeowner association management, private residence clubs, estate management and associated hospitality venues. 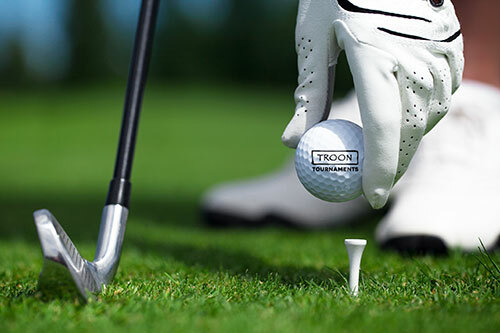 For additional news and information, visit http://www.Troon.com, or connect with Troon on Facebook, Twitter, Instagram, Google+, Blog, Press Room, or subscribe to Troon Golf & Travel.